History and their development – RB Leipzig is not your normal Bundesliga club. They have made their way into the first division, creating waves amongst many for outperforming the usual suspects – similar to Leicester in the Premier League. However, there is more than one difference between those two clubs. During Leicester’s incredible run to the title, many considered them as their second club and wanted them to complete the ultimate achievement. But, there is genuine dislike and even “hate” in some cases towards RB Leipzig. So, why is that? Well, there are different reasons for that. They are hated with passion by other German fans for their model. The club itself was founded only recently in 2009 by the energy drink firm Red Bull, who acquired the playing rights of the fifth division side, SSV Markranstadt, with the intent of pushing the club to the top-flight. The Bundesliga rules state that each club must be owned by fans and that they play a major role in the decision making of the club’s running, so such a move was unheard of in German football. Germany prides itself on history, achievement and the strong relationship between a club and its fans. RB Leipzig on the other hand were a different ball game altogether. The fact that they reached the first division from the fifth division in a matter of seven years shows that their meteoric rise has come about because of overspending by an energy drink firm who haven’t really adhered to traditional principles of German Football. Their dubious way of finding a loophole in the league’s 50+1 rule has also earned them a few enemies along the way. This business-like way of running the club is constantly criticised in Germany where traditions are still given a lot of importance. The fans of the team however, do not seem to be put off. 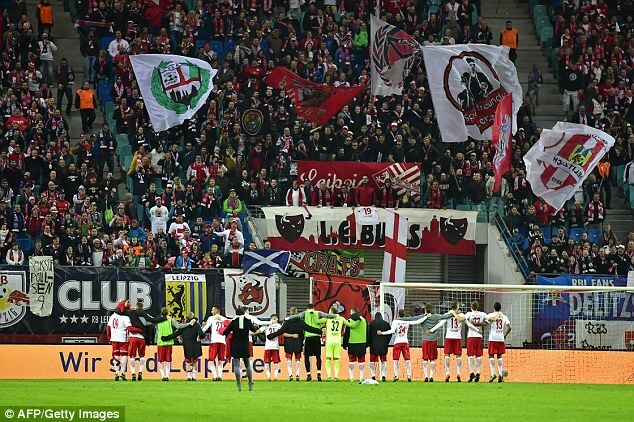 Leipzig consistently record average attendances of around 40,000, which is brilliant for a club that originated a mere eight years ago. Ralph Hasenhuttl, who was the former Ingolstadt manager, took over in 2016 when they entered the Bundesliga and replaced Ralf Rangnick, currently the sporting director at the club. However, Rangnick has played a key role in Leipzig’s success thus far and is a key figurehead at the club. In 2012, when he became the Sporting Director of Leipzig, Rangnick introduced a high pressing and high intensity kind of football which required you to play on the front foot and predominantly in transitions. Having begun his coaching career in the ’80s, his anything but conservative philosophy contains different elements during each phase of the game. One very interesting aspect of RB Leipzig’s philosophy can be noticed during their build-up. They tend to move through phases quite quickly with long balls. It is something that is looked down upon and isn’t really treated with a lot of respect. This is associated with English lower-league teams and is considered archaic and unproductive. RB Leipzig have shown that playing long balls into a target man isn’t really old-fashioned and it certainly can be a ploy that can work very well if done with proper organisation. This way of playing means that they have struggled to build up play from the back. Their goalkeeper, Hungarian Peter Gulacsi hits long balls with a high amount of efficiency towards their two target men Timo Werner and Yussuf Poulsen, who play off each other. Them using two men up top is also something of a throwback and is very rarely seen nowadays amongst teams in Europe. Both have a great knack of holding up those long balls the team plays from the back and this helps to create combinations. This requires rapid and well-coordinated team movement so that the wide players and midfielders can get involved in creating chances in the final third of the pitch. Leipzig benefits from these lay-offs, quickly exploiting the half-spaces that may exist during the quick turnovers. It is essential that the team is capable of covering large distances quickly to inflict an overload at a particular phase of the pitch and thereby able to exploit the opposition in this area. RB Leipzig’s approach when the ball is in the air is very interesting too. They look to win the aerial duels and get possession from winning the first or second balls. Yes, this is also very similar to the tactics employed by the teams in the lower reaches in England. During counter-attacks, this is particularly useful. By winning the ball in half-space, it is possible to take advantage of the numerical superiority in that area of the pitch and also by being not too far from the opponent’s goal. Quick cross field balls to the attacking midfielders Emil Fosberg, Bruma or Marcel Sabitzer are profitable as well, but when Poulsen and Werner drift out wide, they aim to exploit space beyond them with their good speed. They can implement these kinds of movement with great interaction at high speeds which is the key reason for their effective turnovers. Leipzig possess a very well-coordinated system while not having the ball, as well. Their formation stays 4-2-2-2, which isn’t exactly popular in Germany. The opponents struggle against this system as it has some special characteristics. RB Leipzig use a passive type of pressing in the opponent’s half, initially. They do not apply a huge amount of pressure on the ball-carrying Centre-Backs. When the opposition FullBack gets the ball, the Attacking Midfielder on that side steps up, momentarily creating a 4-3-3 shape and forcing the opponent behind. In wider zones, they have an aggressive defensive approach where the Full-Backs and the midfielders also press the ball. The 4-2-2-2 formation is a variant of 4-4-2 which provides greater local compactness. As it is not always required to have six players in the horizontal zone of the ball, it provides great flexibility, which might be capitalised in wider zones. RB Leipzig’s offensive model isn’t a classic example of positional play; they tend to open up vertical passing lanes as soon as possible. The role of double pivot is also very important. One of the defensive midfielders always gives support to the Center Backs. He does a supportive dropping movement whilst the other Centre Midfielder steps higher up or takes a wider position when one of the Attacking Midfielders drifts into space in the middle. Also, they always show strong occupation of the half-space and quick positional interchanges, which helps them to get the ball into the box with a flat cross. Among the defensive midfielders, Naby Keita has a more advanced role than Diego Demme. Keita has the liberty of positioning himself more freely; and as a result he is often looking for one-two combinations and he is also strong in 1 v 1s. Having integrated Naby Keita into their system very well with Diego Demme, Leipzig possess the individual quality in the middle of the park to bypass opposing midfield lines via dribbles or through quick combination plays. On top of that, the aggressive half-space penetrator Emil Forsberg, accompanied by Keita, assist Leipzig’s three lightning-fast strikers in Marcel Sabitzer, Yussuf Poulsen and Timo Werner, commendably. Leipzig’s style requires a very high level of physical conditioning, which cannot be maintained during an entire season. Although their 4-2-2-2 defensive formation has become really effective, thanks to the special features of their tactical play, it’s not impossible to break through them as each defensive formation is permeable in one way or the other. 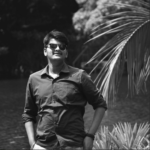 The Main troubles of this system arise from an extreme dependence on the team mates suited perfectly for the roles that make the tactic work. It is very difficult to find a set of players who can execute this plan as successfully as Leipzig have been able to. It is also a challenge to maintain peak fitness throughout the season. RB Leipzig look great in their defensive game since many Bundesliga sides are keen to keep the ball and try to play it around. When these sides lack the quality to execute a well made passing move or when they lose the ball in RB Leipzig’s half, they become susceptible to RB Leipzig’s effective counter pressing. Taking everything into consideration, it is safe to conclude that RB Leipzig’s project is a very interesting one and they have been very successful in their journey, thus far. They are making positive strides in the Champions League as well and although they haven’t made the best of starts to the league campaign, the 3-2 victory over table toppers Borussia Dortmund at the Signal Iduna Park could prove to be the spark they needed to kick start their stuttering league displays. A very intriguing season lies ahead for the new big boys of German football. 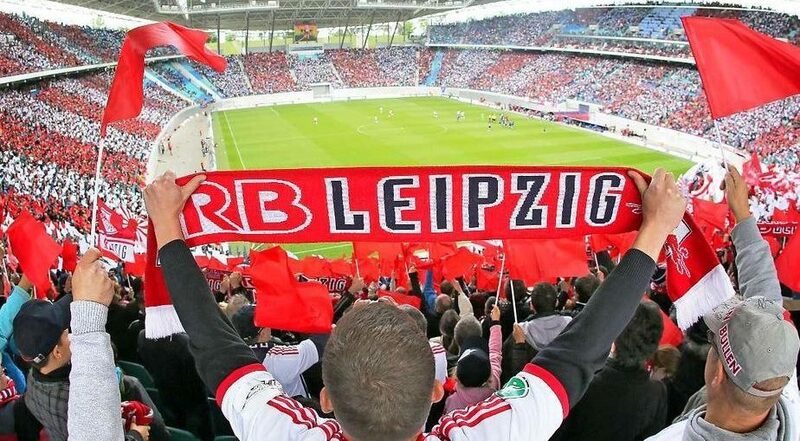 The post RB Leipzig – A new emerging force of German football appeared first on El Arte Del Futbol.